From time to time (okay, maybe every night), I like to indulge in a bit of sweetness. Usually I don’t have the time or energy to whip up something fancy. When it comes to making dessert, I have three main criteria: 1) it doesn’t require me to turn on the oven; 2) it doesn’t involve too much prep work or clean up; and 3) it’s made from real foods, without refined sugar or any other nasties. I want it to be simple, clean and sweet-tooth-satisfying without being loaded with a bunch of heavy ingredients devoid of nutrients. That’s not too much to ask, is it? Free from gluten, wheat, dairy, eggs, and refined sugars, these are my five favorite plant-based–and mostly raw–desserts. They’re all guilt-free ways to treat yourself when the sweetness craving strikes. Need a frosting fix without the sugar crash? 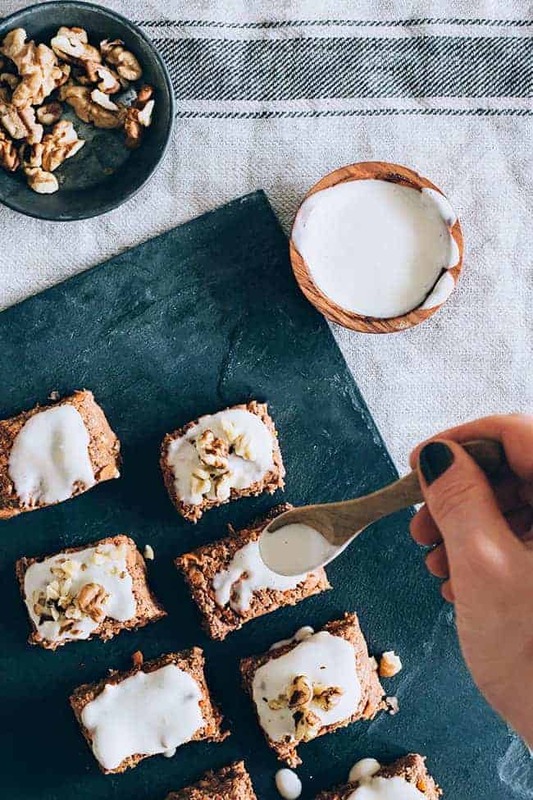 Cashews are whipped up into a decadent, lemony icing for raw carrot cake, minus the cream cheese. Add all the ingredients to a bowl and mix well with a hand blender until combined (alternately, you can pulse the ingredients in a food processor). Mold the mixture into a cake shape and refrigerate for 2 hours. To make the mixture into cupcakes, grease a cupcake pan with coconut oil or use cupcake papers. Shape the mixture into balls and press them into cupcake tray. Refrigerate for 2 hours. Combine the ingredients in a blender and blend until smooth and creamy. Add a little water if necessary to facilitate blending. Transfer to bowl and chill in the freezer for about an hour to allow it to thicken. Spoon over cake/cupcakes and serve. 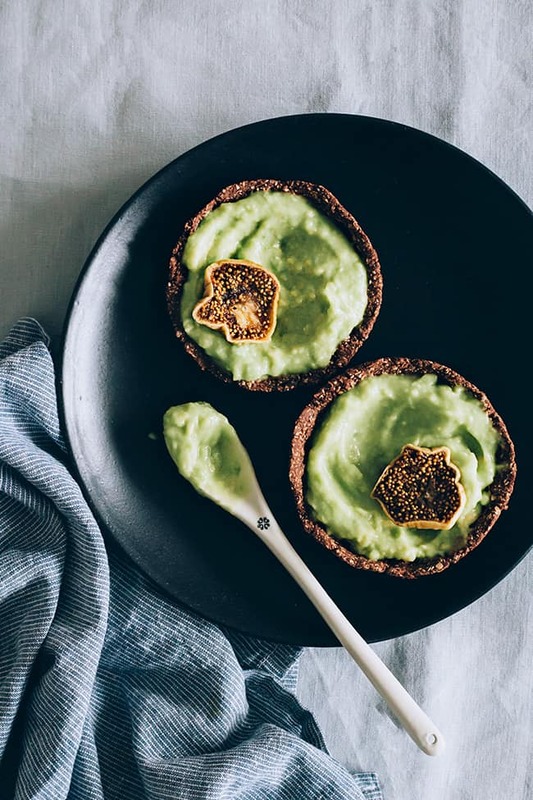 You might not think of avocados as a dessert, but their creamy texture and mild flavor are perfect for sweet treats–and great for a dose of healthy fats to make your skin glow. Pulse the walnuts, dates, and salt in a food processor until sticky. If the mixture is too dry, add a teaspoon of water at a time until it becomes sticky like dough. Divide into four parts, spoon into muffin tin, and refrigerate until set. 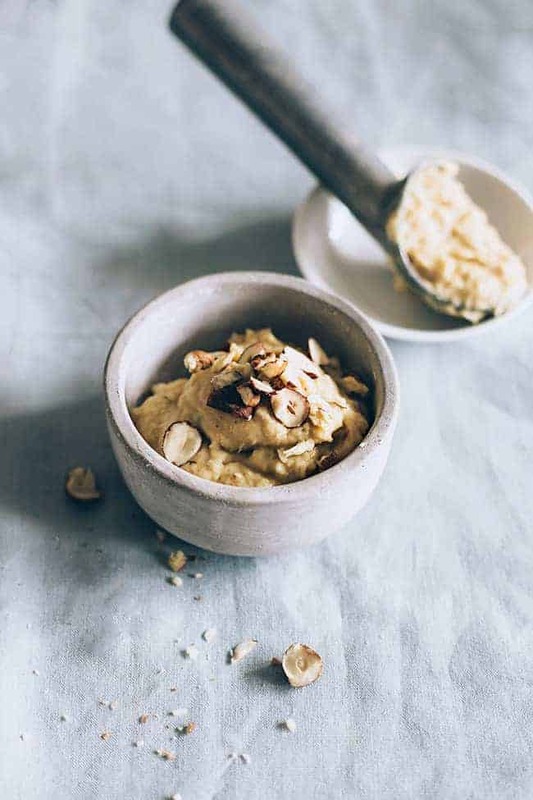 Combine the avocado, maca, lucuma, honey and vanilla bean in a food processor. Blend until smooth. Fill the tart shells with the mousse and decorate with sliced figs. Eating raw flour and uncooked eggs is a big no-no, but cookie dough is so delicious. This high-protein chickpea-based vegan dough is totally good for eating (safely!) by the spoonful. In a food processor, combine the chickpeas, dates, coconut sugar, vanilla, cinnamon, salt, coconut and almond milk. Blend until smooth. Pulse in the rolled oats and fold in chopped chocolate. Put the dough in the freezer for about 20 minutes to chill. Pull out and eat with a spoon. 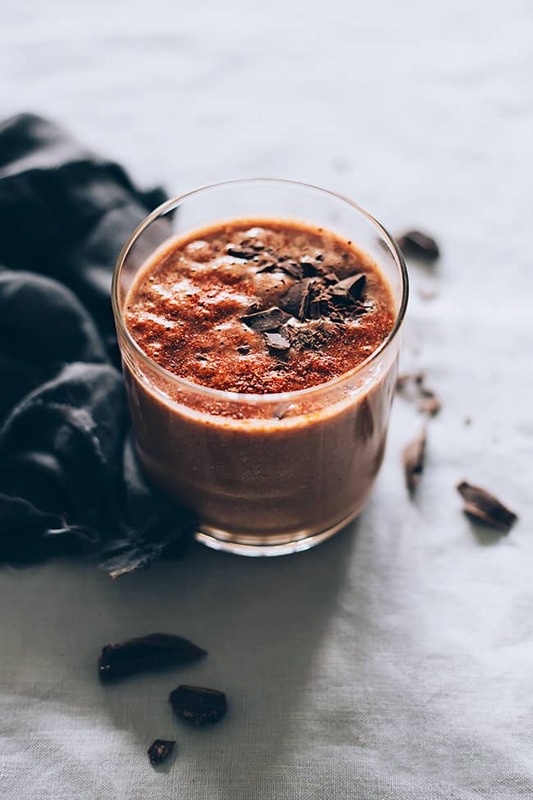 Full of healthy fats, with hormone-balancing maca powder and metabolism-boosting cayenne, this is a pudding you can eat with zero guilt. Add all of the ingredients to a blender or food processor and blend until smooth and creamy. Sprinkle with additional cayenne and cacao nibs on top, if desired. Yup, the classic: banana soft serve. Keep bananas in the freezer and enjoy banana ice cream whenever you need something frosty and sweet. 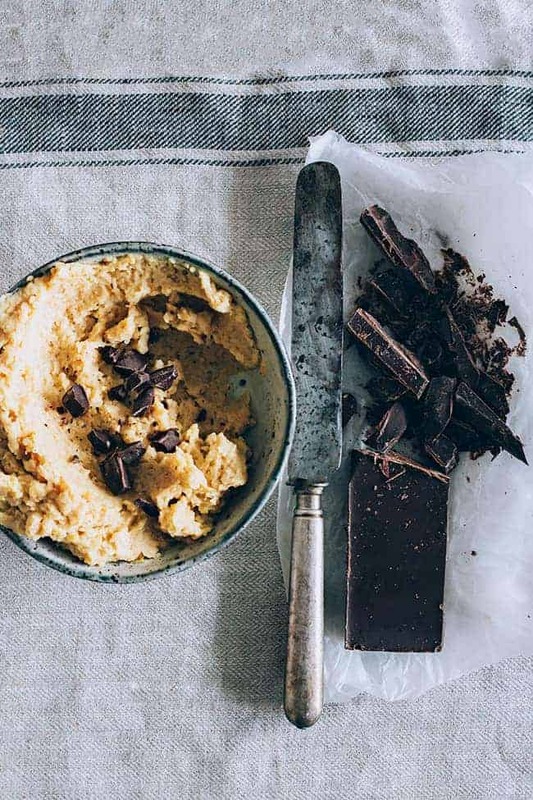 You can customize it with your favorite mix-ins–swirl in a ribbon of almond butter, add cacao nibs for a chocolatey crunch, or top with fresh fruit. Peel, chop and freeze a ripe banana. Once frozen through, puree in a food processor or blender. Transfer to a bowl and enjoy. Been going through all your blog posts and this one is definitely one of my favourites. I have such a major sweet tooth and can’t wait to get started on these recipes.